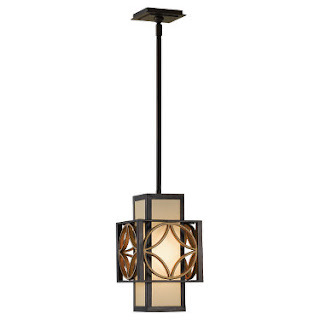 Enlightening (Residential Lighting Blog): Check It Out - Light It Up! Check It Out - Light It Up! I love the bullet-point version of this article ~ I was interviewed by Linda Longo of Home Lighting & Accessories magazine, along with 2 other experts, and she wrote the articles. Whether by choice or necessity, many are opting to downsize their homes. According to the American Lighting Association, choosing the right kind of lighting and paying attention to its placement can make small rooms look more spacious. Proportion is everything. 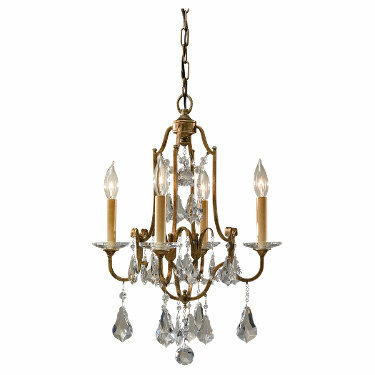 Entryways in small homes will likely not be able to carry a typical foyer chandelier or lantern-style light, so consider semiflush mounts, flush mounts and mini-chandeliers. Power of portables. Place several table lamps and small accent lamps throughout the room. Multiple points of lighting dramatically increase the perception of space. Keep it low. Lights should have relatively low wattage and dimmer switches. If lamps don't have built-in dimmers, they can be plugged into tabletop dimmers, which work with most lamps and are sold through lighting showrooms. Long and lean. 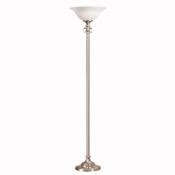 Use tall, slender torchiers, which direct light dramatically upward and don't take up much space. Mount it. Wall sconces take up no floor or surface space. Special effects. A technique called “wall washing” makes spaces appear larger. It involves positioning the light (there are fixtures specifically made for this purpose) so that it grazes the wall, drawing attention outward. Mini versions. Many standard light fixtures — from pendants and chandeliers to table lamps — come in scaled-down sizes. For more information or to find a local ALA showroom: http://www.AmericanLightingAssoc.com/. 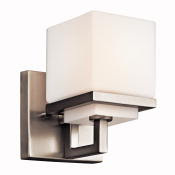 Sources: Rick Seidman, president of Quoizel, a lighting manufacturer based in South Carolina; practicing architect and lighting designer Joe Rey-Barreau, an education consultant for the ALA and an associate professor at the University of Kentucky's School of Interior Design; and Catherine Schlawin, an ALA-certified lighting consultant (CLC) and residential lighting manager at Dominion Electric Supply in Chantilly, Va.